Designed with decorating in mind, this beautiful Bryce Canyon tree features beautiful layering with tri-shaped tips. The lovely spacing and strong branches make this Christmas tree ready to be filled with ornaments. This tree also features the Brilliant Lighting System: finger shaped light strands unobtrusively extend a light to almost every tip, giving you a brilliantly lit tree without any unseemly wires. This tree takes the Brilliant Lighting System a step further by wrapping all of the wiring within the branch, making for an even more seamless lighting experience. Shaping this tree right out of the box is made easy with each layer tied separately. *Bryce Canyon 7.5 Feet pictured. 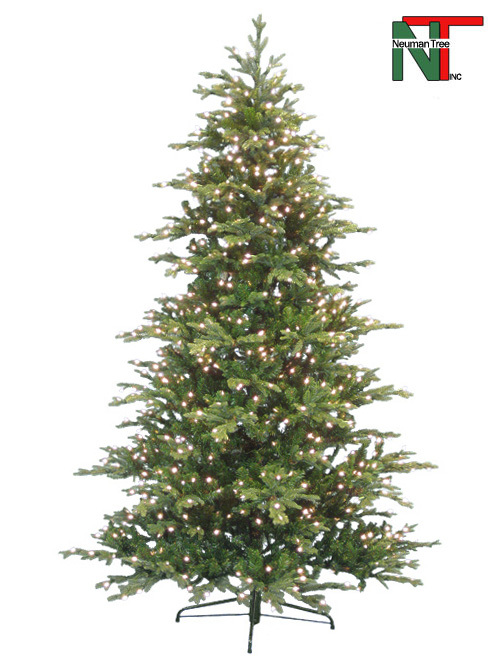 100 replacement lights are included with each tree.